Here's our yearly round-up of festive pjs, Christmas jumpers and party wear. Enjoy! I'd quite happily wear every one of these items, I mean that green dress is just perfect! But I think my favourite item here is the black glitter playsuit, it looks suitably festive but also quite comfortable. I personally like to dress up a little on Christmas Day even though it's only Josh and I for dinner and I think I'd still be quite comfortable in the playsuit after a huge Christmas dinner! Who doesn't love a good novelty jumper for the festive season? 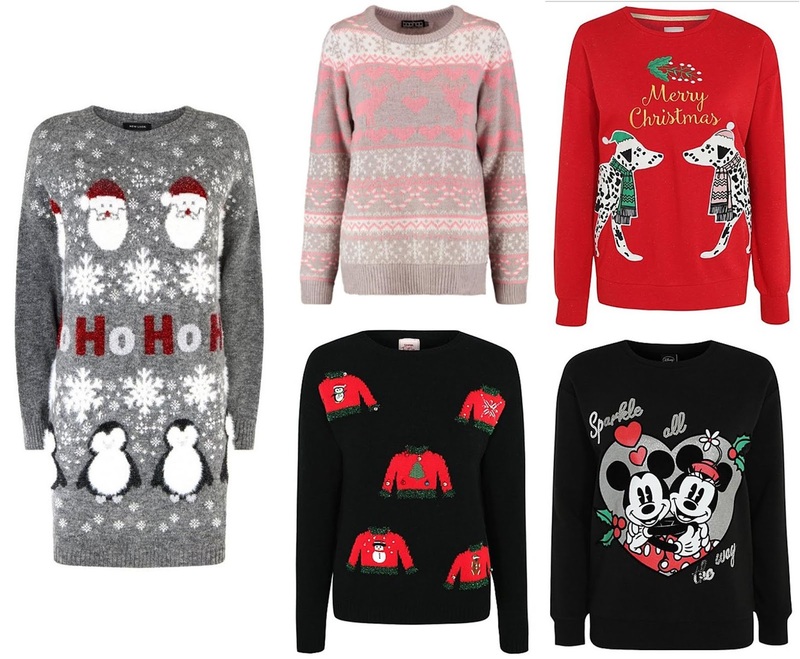 I'd quite happily add all of these to my collection if I could but I especially love the grey and pink jumper as it's nice to see a Christmas jumper in different colours to the usual red's and navy's. OK so pj's are my favourite item of clothing all year round but Christmas pj's are the best! I mean who doesn't love a new pair of pyjamas on Christmas Eve?! I think the French Bulldog and Dachshund ones win for me here.